I’m sure you all have seen the fear mongering headline from USA Today. “Coconut Oil Isn’t Healthy. It’s Never Been Healthy.” Dramatic much, USA Today? Apparently, the American Heart Association just released a report advising against the use of coconut oil. 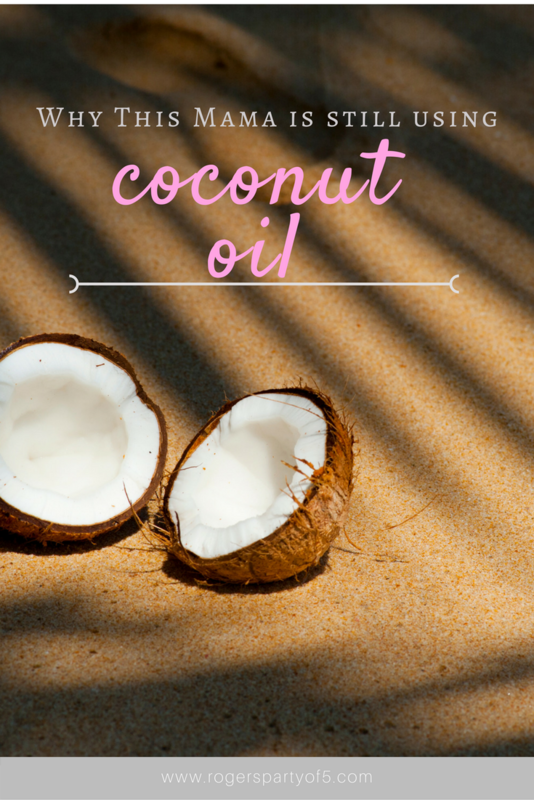 My post isn’t really about coconut oil, but I want to talk about it before I get to my point. Yes, coconut oil has a lot of saturated fat. So does butter, and so does beef. I personally believe that all of these things can be healthy, in moderation. Our family uses high-quality butter (don’t get me started on the chemical filled stuff in the tub), beef, AND coconut oil. I don’t plan to stop just because there is a new report that tells me to. Now, to my main point. We run into this problem as mothers. Things are constantly changing. In the 3.5 short years since I have become a mom, the guidelines have already changed on infant sleep, screen time, and car seat safety. Now before you start thinking that I’m this crazy person who is telling you to ignore all of the guidelines, hear me out. I’m not saying to simply ignore a new study because it might change. I just think that we need to make our decisions, and know that there’s another side that doesn’t necessarily agree with what we do. So while the AAP now suggests room sharing with babies— FOR A YEAR— I am not going to do that. I feel confident that my babies are safe sleeping in their cribs in their own rooms, and I am comfortable with that. If you’re not… then don’t do it! If a new study comes out that ‘proves’ it’s actually safer for them to be in their own rooms, don’t switch if you’re not comfortable with it! And, when they changed the guidelines on screen time, I did nothing. I mean, we all know it’s not good for our kids to stare mindlessly into screens like zombies for hours on end. We all do our best to provide activities other than screen time, but sometimes, we just need our kids to pause for a second so we can make dinner, or wrangle a baby, or hide and eat ice cream. I already have fairly limited screen time for my kids, so hearing that the guidelines changed…AGAIN… I don’t care. I didn’t even read them. And as for coconut oil not being healthy anymore… well, it’s definitely not healthy to eat it by the spoonful, but most things aren’t. I know it is high in saturated fat, but nobody in my family has high cholesterol. We eat it, like most things, in moderation. I personally feel that the health risks of vegetable oil are worse for my family’s health than coconut oil. But, that’s just me! I’m confident in the parenting decisions that I make, and I won’t change them just because of a new study, that’s probably going to change anyways. As moms, we have to do what we feel is comfortable and safe, and we have to own it.